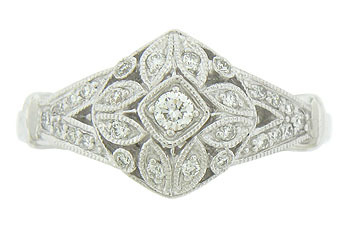 This 14K white gold engagement ring features a floral design. 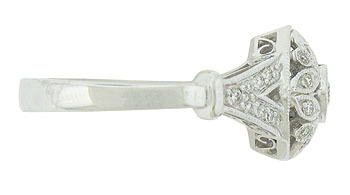 A large round cut diamond is surrounded by a pinwheel of diamond set leaves. The rings shoulders are v-shaped and set with additional fine faceted diamonds. 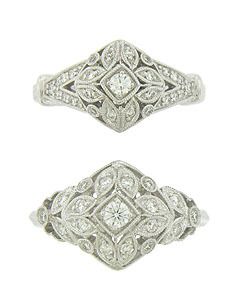 The romantic design is outlined in delicate milgrain. 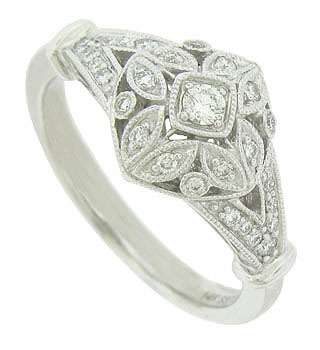 Shown with the larger version of this ring R5532 (sold separately). 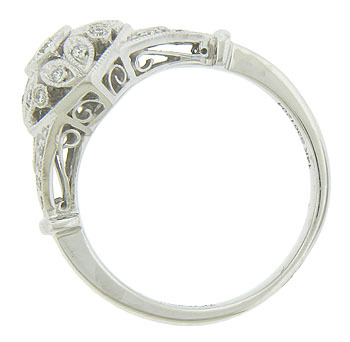 The antique style wedding ring measures 10.80 mm in width. Size 6 1/2. We can re-size slightly.